Product categories of MMA welder 380V, we are specialized manufacturers from China, 3 phase MMA Welder, MMA Welding Machine 3 phase suppliers/factory, wholesale high-quality products of MMA Welding Equipment 380V R & D and manufacturing, we have the perfect after-sales service and technical support. Look forward to your cooperation! 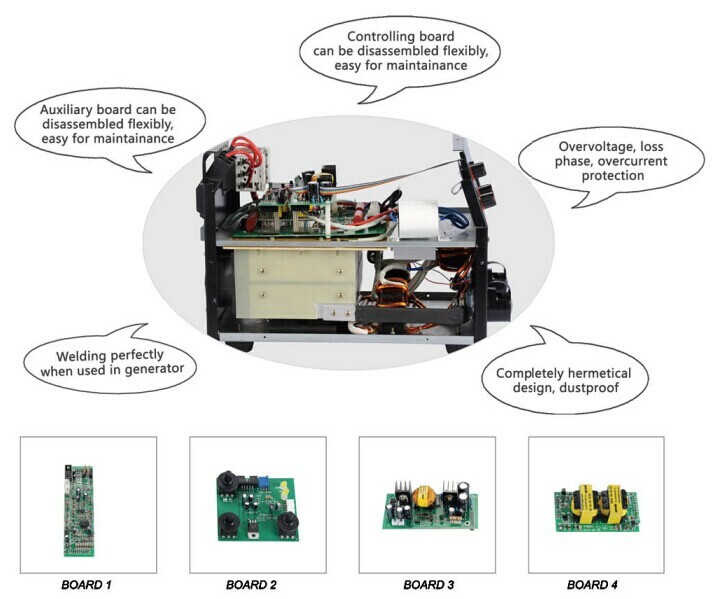 Dancy machine supply three Phase Inverter welding machines based on inverter high frequency IGBT module technology. The unique design of heat dissipation ensure 100% duty cycle.The machines are available with input at 380V or doual voltage 220V/380V. Our 3 phase welding machine types includes of ARC 250,ARC 315,ARC400,ARC 500,ARC 600. Click on the product picture for further details. The inside structure of our 3phase MMA welding machine. 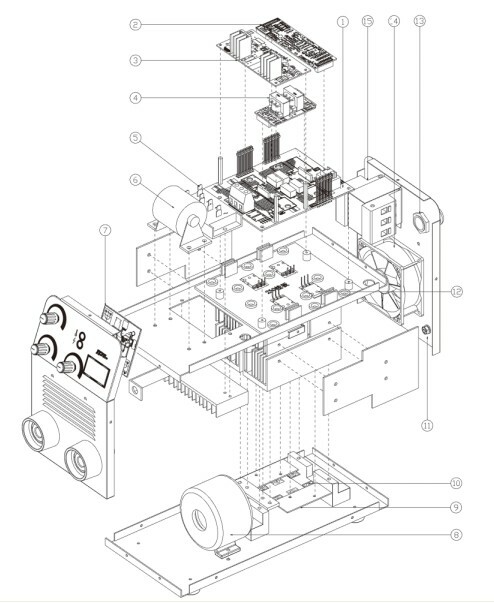 The Product component diagram of our 3phase MMA Welding Machine.